If you are searching for an interesting type of robot that can be as adorable as your pet and can also play with your kids, then you might want to check Marty. You will not only consider this robot as a toy because it can also be a part of your family. The idea was funded and launched by Dr. Alexander Enoch which is now a part of the program called InDemand. You can expect a good cred from the creator of the robot because of acquiring his PhD recently from the University of Edinburgh. Aside from creating Enoch, he is also the founder of a company called Robotical that presents user-friendly robots. This will give you an idea on how these robots can be beneficial to people’s everyday lives. 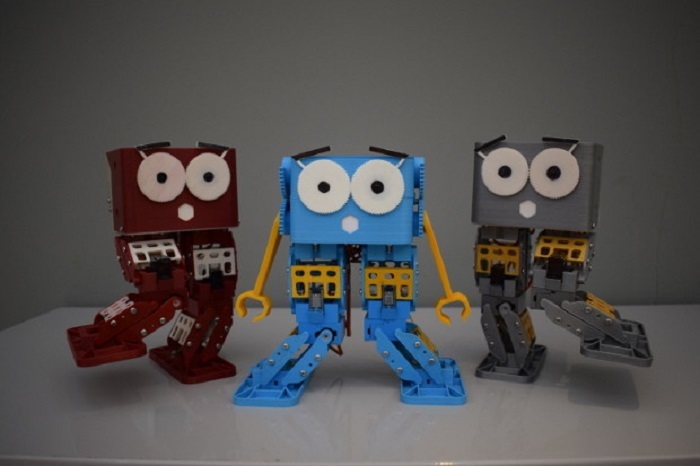 Marty the robot will be capable of doing different kinds of movements once they have completed the kit. 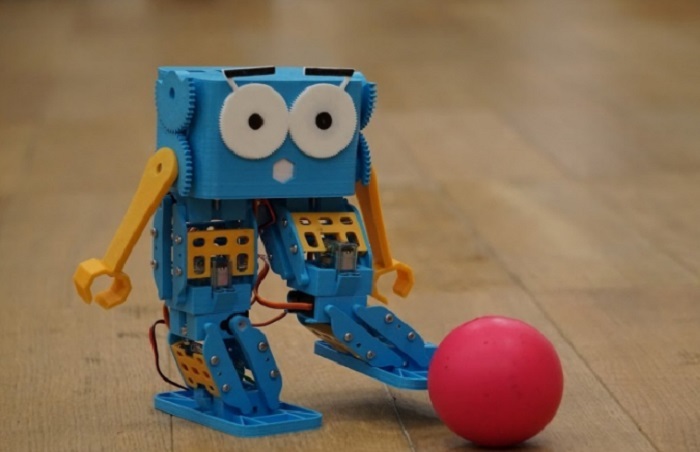 You can control the robot using your phone where you can instruct him to walk or kick a ball. Marty is WiFi ready, can be programmed, expandable, and also has a raspberry pi. It only means that it is possible for you to connect the robot to a computer that will allow you to start your experiment of controlling the facial expression of Marty as well as its movements. It is compatible with Arduino and other boards and also has sensors. As a matter of fact, you can even add more sensors and even a camera. Enoch had thought of creating the robot as he pursues his last degree. He wanted to create something that can give fun to his nephews and nieces without the need of spending much. While using the robot, you will have the knowledge about 3D printing, programming, robotics, mechanical design, and electronics. Marty is not only user-friendly but it is also affordable because of its three-motor design and spring leg and has a long-lasting battery. The kit includes nine servo motors, parts of the legs and arms, software, electronics, and instructions. Instead of 3D printing the parts, they would provide funds for injection molding so that they can create boards that will be used for electronics. You can expect that shipping in February 2017 where you can find plenty of kits. You can get discounts if you will order in bulks or have the special edition of the robot. Marty is a simple robot that can also be sophisticated sometimes depending on what you want him to do. This is a great way for you to learn coding suitable for beginners especially kids. While programming the robot, you will gain knowledge about motor control, mechanical design, and sensors. Tutorials and guides are also provided as you progress in using the robot. The parts can be 3D printed and you can also decide if you want to customize or upgrade Marty without soldering the parts. You can have several apps from the application store of Roboticals where you can share the printable parts as well as the code and the links to other users.